A hammock chair is wonderful for strengthening in many different ways. It is well known that the strong core and the sense of balance are related. Balance is an excellent way to grow physical fitness, so it shouldn’t be surprising that regular use of a hammock chair is a great way to improve your core strength. Although many would immediately think that “systematic strength training” is equal “lifting weights”, it does not necessarily have to involve such techniques – it can be done through leveraging your own weight to create repeated resistance. The most popular techniques include balance boards or stability balls. Yoga, and other forms of mind-body training and martial arts, such as Pilates or Tai Chi are very useful but you can work on your balance and core strength on your own by just standing on one foot and closing your eyes. However, hanging out in a hammock chair is much more comfortable as standing on one foot, isn’t it?! And the good thing is- both (balance and stability control) were challenged by rocking and swinging in a hammock chair. The wider you’re swinging in, the bigger resistance you will be putting on your core to propel yourself from side to side which is a very effective strength training. Motor Control Stability is activated basically every time you use a hammock chair, whether or not rocking or other motions are included. 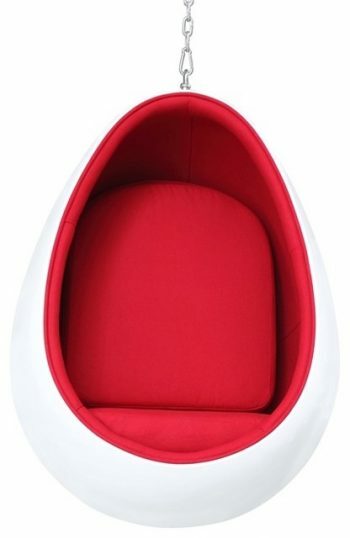 There does not necessarily have to be any kind of progressive resistance in this sort of exercise, which makes a hammock chair an ideal area for this kind of muscle activity. Hammock chairs are never perfectly still, which move the pressure points to various positions all over your body. The gentle massage stimulates multiple acupressure meridians of the body while you relax. By relieving body weight, the hammock chair helps you to rapidly increase your flexibility while improving balance and core strength. Drastic improvements in health and vitality in a very short time! Aerial Yoga is a relatively new approach to a traditional Yoga which includes a hammock with all its benefits. 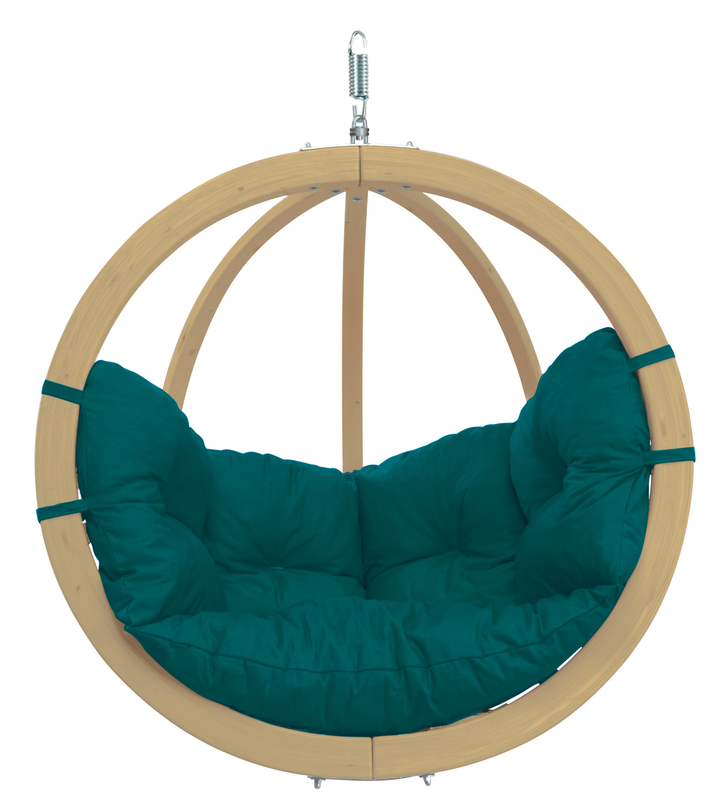 A hammock chair works in a similar way as a “single point aerial yoga hammock” giving you an antigravity feeling . Muscles were stimulated and rehabilitated, and the spine decompressed as the body hangs freely. By now, it should be understandable that a hammock chair is an excellent instrument for strengthening your core. 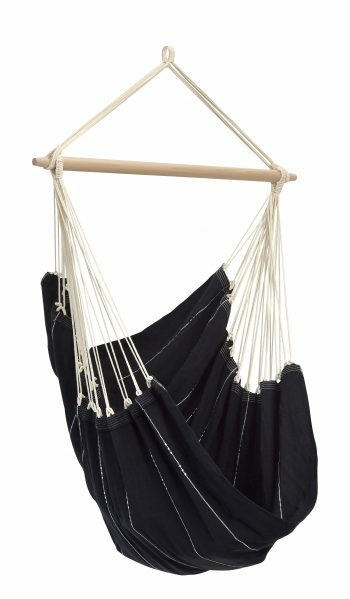 Here we give you 7 reasons why to Hang a Hammock Chair in your home. So find a tree in your backyard or suspend a hammock chair in your living room and get to building those muscles!